Setup at this year's Chicago Auto Show on Feb. 6, 2015. 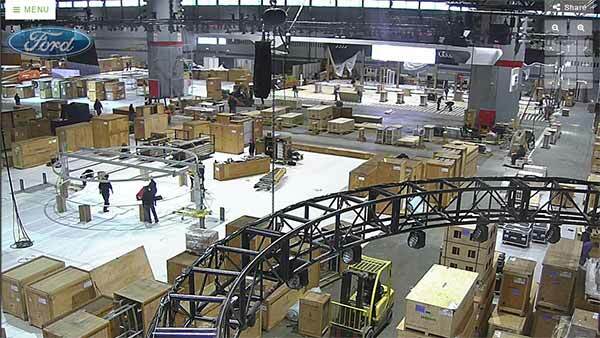 CHICAGO (WLS) -- Setup is underway for this year's Chicago Auto Show at McCormick place. For a live look, check out the show's two web cameras stationed near the Lexus and Land Rover areas. This year's show runs Feb. 14-22. Follow ABC7's coverage of the show including exhibit previews, photo galleries, directions and parking info at ABC7Chicago.com/autoshow. ABC7 is a media sponsor.